NEW ORLEANS – Do you want to know the best way to get from the San Antonio International Airport to the JW Marriott San Antonio Hill Country Resort & Spa and/or the Courtyard by Marriott San Antonio North/Stone Oak at Legacy and/or the Hyatt Place San Antonio North Stone Oak hotels? Maybe you want to know how to get from one of those two aforementioned overflow hotels to the JW Marriott San Antonio Hill Country Resort & Spa, where all of the events for the 2018 USTFCCCA Convention will take place. Perhaps you’re coming in from driving distance or are renting a car when you land in San Antonio and want to know where to park. 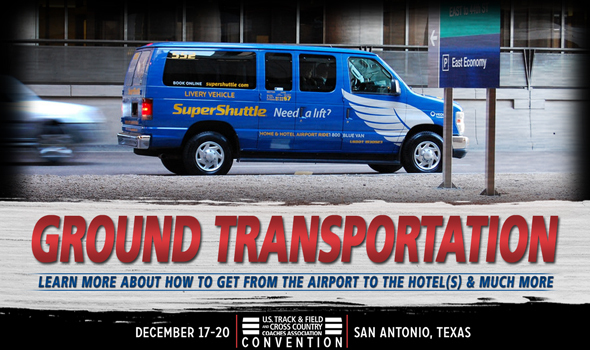 For starters, SuperShuttle is once again the official airport shuttle provider of the USTFCCCA Convention. Round-trip transportation between the San Antonio International Airport and all of the hotels via a shared shuttle is available at a discounted rate of $22.50 each way ($45 total). There will also be a complimentary shuttle service between the JW Marriott San Antonio Hill Country Resort & Spa and the two overflow hotels for Convention-goers. The shuttle will only run between those three hotels from Monday, December 17 to Thursday, December 20. A full schedule for those shuttles will be available soon. Finally, the JW Marriott San Antonio Hill Country Resort & Spa is offering free parking for Convention-goers. If you’re driving in or renting a car, be sure to take advantage of that. For more information about the USTFCCCA Convention, be sure to visit the website.